Dixon Sanitary manufactures a full line of 304 and 316L stainless steel sanitary fittings, tubing, valves and pumps for the food, dairy, beverage, cosmetic, pharmaceutical and industrial markets. 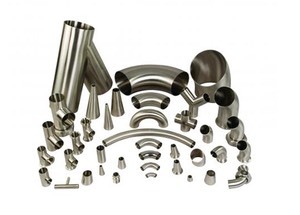 The company also offers clamp, weld, bevel seat, I-Line, European and other fittings in sizes from ½” to 12”, including a complete line of BioPharm fittings, ½” to 6”. Dixon Sanitary's valve offering includes, ball, butterfly, check, seat, long stroke, mix proof, PMO, diaphragm and sampling. The Dixon Sanitary pump line includes centrifugal and positive displacement pumps. Custom fabrication, filters / strainers, instrumentation, sight glasses, tube hangers, cleaning and washdown accessories are also available.